The 2014 Honda Ridgeline, with its unit-construction crew-cab layout, stands far from the crowd. It rides and handles like a car, includes clever and innovative features and delivers fuel economy that's competitive with a mid-size SUV. Often described as the truck for folks who have not yet had a truck, the Ridgeline has its own distinct niche in the market. 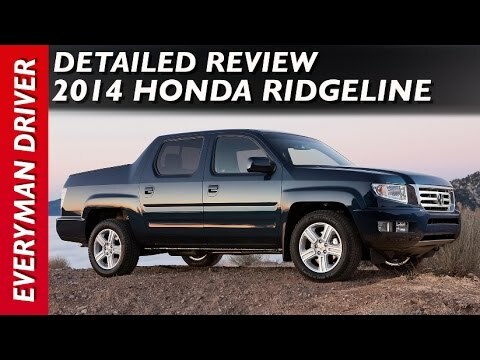 White ridgeline is a great truck, but it do not have enough features. I do not have any problems. I am not satisfied with the performance, it does not pick up speed like I would like for it to, it does not have a temperature gauge inside like my 2011 ridgeline. It is very reliable. I only have 37 thousand miles on it and I purchase brand new in 2014. It gets very poor gas mileage for a honda. It is a 4 door truck with a traditional trunk built into the bed of the truck. I really like that the tailgate swings both down or sideways. I dislike that it should have had more modern features when I bought it ie bluetooth, built in compass. It is comfortable to ride in. I dislike it because it did not come with the temperature of the weather inside like my 2011 Honda ridgeline. I like it because it's the car or vehicle of my dream.